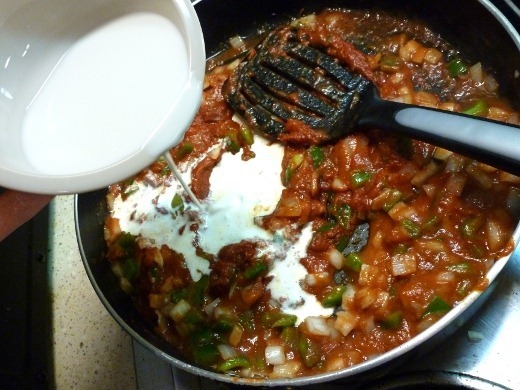 Another Chicken Makhani / “Butter Chicken” recipe for you today! Recently I made Bev’s Butter Chicken recipe in a slow cooker and loved it. However, I saw a slightly different version of the recipe on KathEats a few days ago, swooned, and again decided that I must have it! 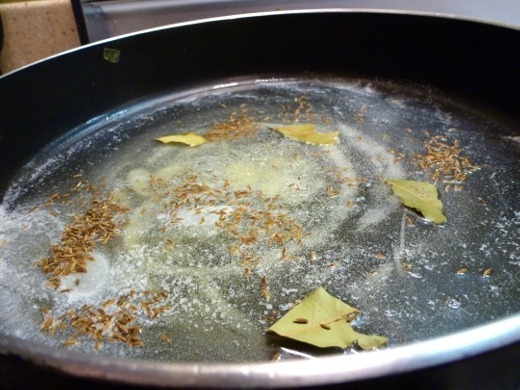 First I bloomed cumin seeds and bay leaves in butter in a skillet. 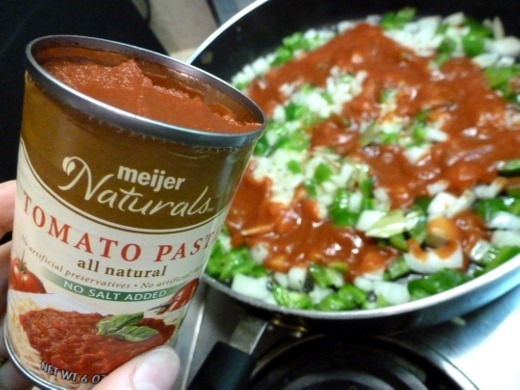 Add bell pepper, onion, garlic, fresh ginger root, tomato sauce, tomato paste. Spices! I preferred the seasonings in the KathEats version (this version! ), I have to admit. There was no turmeric in this version (I’m not a fan!! 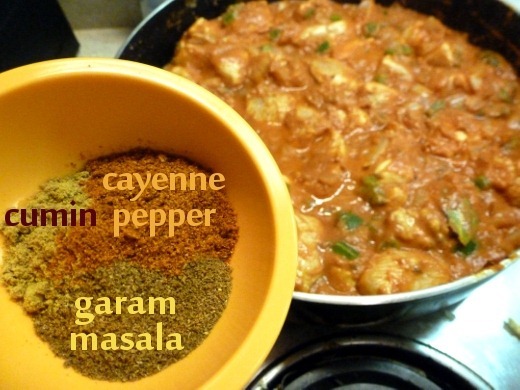 ), but both cumin seeds and cumin powder were added (a favorite spice of mine), as well as the addition of bay leaves, plus much more cayenne pepper. Actually the KathEats version called for 1 tablespoon of cayenne pepper but that seemed… insane!?.. so I added 1 teaspoon instead, and it was still HOT! I like a fair bit of heat, though. Add chicken, and simma simma for about 20-25 minutes. 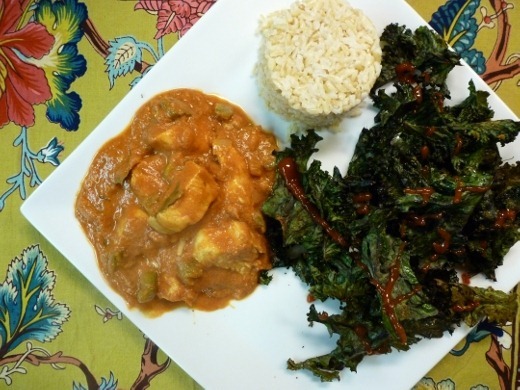 This plate was totally inspired by Kath, with her family friend’s Butter Chicken recipe, and ketchup-drizzled kale chips. I even formed my brown basmati rice into a pretty cylinder – you like? Just a little treat for you guys. Currently listening to: Enigma – Trapt.